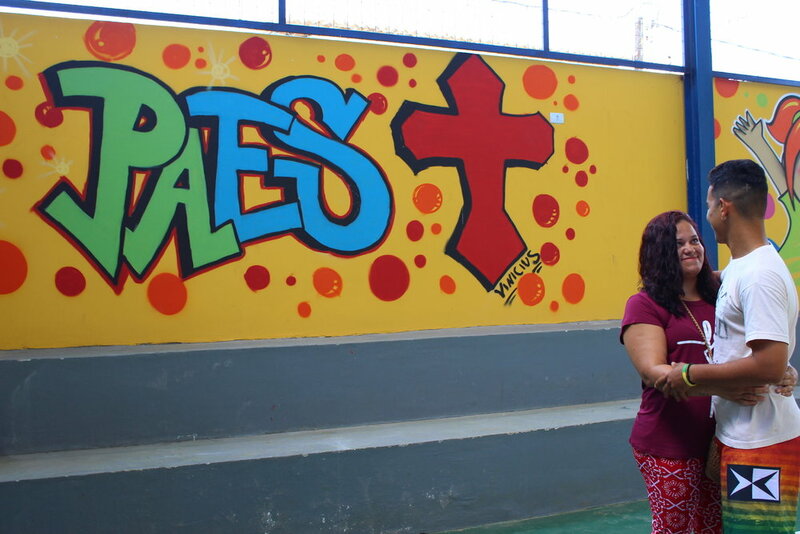 Vinicius, a former student and now a volunteer at House of Hope, and his mother in front of the mural he painted for the new gymnasium at House of Hope. In 2013, ARDF partnered with the Diocese of Recife to build a gymnasium at the House of Hope, a ministry operated by the church. Situated in the neighborhood of Carolinas, outside of Recife, House of Hope offers programs for children of all ages that help keep them off the streets, away from the dangers of the drug trade and rampant partying pervasive in this section of town. This week, ARDF is in Recife to see the new gym and to hear the stories of how it is being used. To our surprise, we are learning how one gymnasium has created community involvement in the House of Hope, and the Hope Church that meets on the same site. In the past, parents dropped their children at the ministry center but there was no concrete way for them to get more involved. But members of the community helped with the gym’s construction. Now they are the beneficiaries. There are mentoring programs for men, adult soccer leagues, and community festivals. This is in addition to all the use the children get in the daycare and after school programs. In this under-resourced community, the gym is the only one of its kind in the entire neighborhood. Members of the community helping during construction. This built a sense of community ownership for the project. God is doing something special here and He is using this gymnasium to bind the community together. 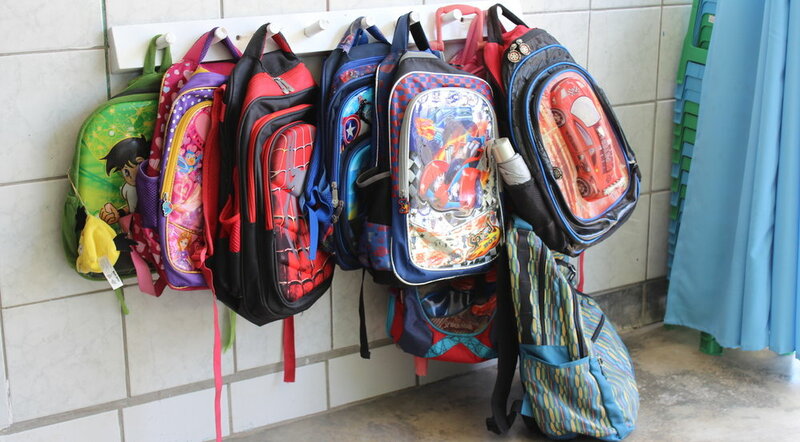 The fruit is seen in the numbers of parents who volunteer at the House of Hope, by helping in the classroom, cleaning the facilities, and preparing the food. It is also evident each Sunday morning at church, where parents, children, and others in the neighborhood come together to worship and pray for the continued transformation of this community.